There are some points to consider when want to put tiles in your bathroom. The colour of the tiles can make the room seem bigger or smaller. Light tiles on walls will make the room feel bigger. This often goes well with dark tiles on the floor that help to hide dirt. The walls are often a mixture of tiles and painted surfaces. Both the colour of the tiles and the colour of the walls are part of the overall impact, making the room feel larger or smaller. Mirrors are another method of making a room look bigger. As almost every bathroom incorporates a mirror so it is fine to use a larger mirror to make the room seem bigger. Larger tiles require less grout. But bathrooms tend to use smaller tiles on floors because of the space limitations. Larger tiles are more common on bathroom walls. 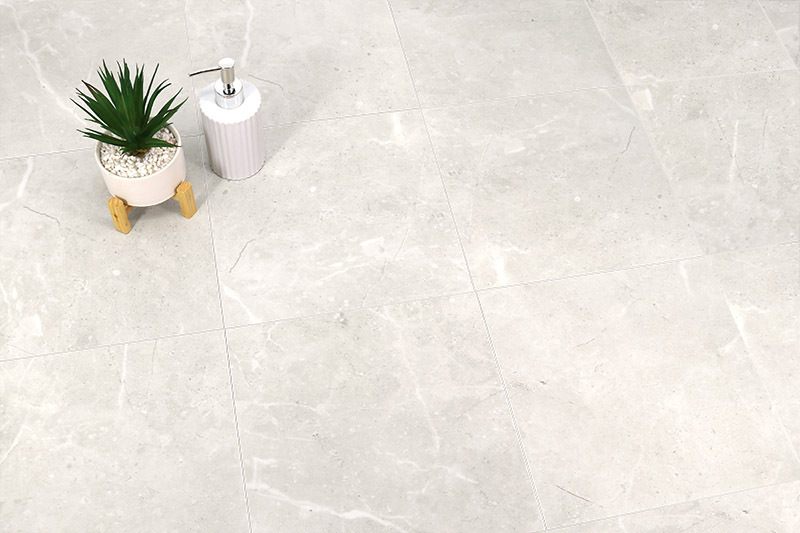 Porcelain tiles are fired at a much higher temperature than ceramic. This makes porcelain far more waterproof. It is also harder wearing. Tiled floors can benefit from underfloor heating. This prevents issues with a cold floor. And the heating system requires little maintenance. Hot water systems are popular for this purpose, especially as the bathroom already has hot water piping. High volume manufacturing techniques and modern technology means high quality tiles are available at fairly cheap prices. And there is a greater range than ever before.